Adrenal Fatigue FAQ: Is Taking Cortisol a Safe Way to Treat Adrenal Fatigue? Question: Is Isocort a safe way to treat my adrenal fatigue? I have been self-treating for over a year now, and I get ahead and then life issues, (surgery, stress, job stress) kick me back down. I have not wanted to treat with any kind of cortisol for fear of making my adrenals shut down, but I don’t feel that I am getting anywhere with supplements. I am on Dr. Wilson’s tincture of ashwagandha, Siberian ginseng, maca and licorice right now. I think I am allergic to one of the ingredients because I had an itchy rash while taking it, and when I went off, it went away. I would appreciate any suggestions on safely treating with Isocort, or other form of cortisol. There are some cases in which giving cortisol temporarily and then weaning off of it appropriately may help adrenal fatigue if given in conjunction with supplements which support your body’s stress response system. It is important to note this should be done under the watchful care of a healthcare professional. However, I do not recommend using cortisol alone (either plant based or synthetic), and I recommend extreme caution in using it at all, especially if you are not under the care and supervision of a medical professional. The body has a very complex system of checks and balances to maintain appropriate hormone levels. One way it does this is through a signaling process called negative feedback. Negative feedback occurs when an optimal level of hormone is reached and the hormone “feeds back” this information to the brain to turn off production. It works sort of like a thermostat that turns off the heater once a certain temperature is reached. If you take hormones, they can send this negative feedback signal to turn off the body’s own production and can eventually shut down the glands’ ability to produce hormone at all. (This is why men’s testes can shrink when they take anabolic steroids). Taking cortisol may increase your energy and make you feel better in the short term, but that doesn’t mean that it is helping your body heal. (Many people feel better and more energized taking amphetamines, but I don’t think that provides a good medical rationale to take speed.) Taking cortisol alone does nothing to support the adrenal glands to make their own cortisol or to heal. A healthier approach is to give the adrenals the building blocks they need to regenerate, the nutrients they need to synthesize hormones, herbs to help support the body during stress, and antioxidants to protect the adrenals from damage as they produce the hormones. The herbal tincture you mentioned does one part of that (helping the body adapt to stress). You may be able to find the herbs individually and eliminate the one that is causing your problems. In treating adrenal fatigue, I recommend a complete lifestyle and treatment approach: eliminating sources of stress and learning healthy ways of dealing with it, eating regular nutrient dense meals to prevent blood sugar fluctuations, getting sufficient rest and moderate exercise, and nutritionally supporting the body and the adrenals in their recovery rather than simply taking a hormone which could make you feel better temporarily but has the potential to create more problems in the future. 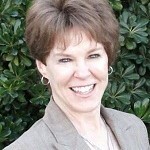 About the Author: Dr. Lise Naugle is an associate of Dr. James L. Wilson. 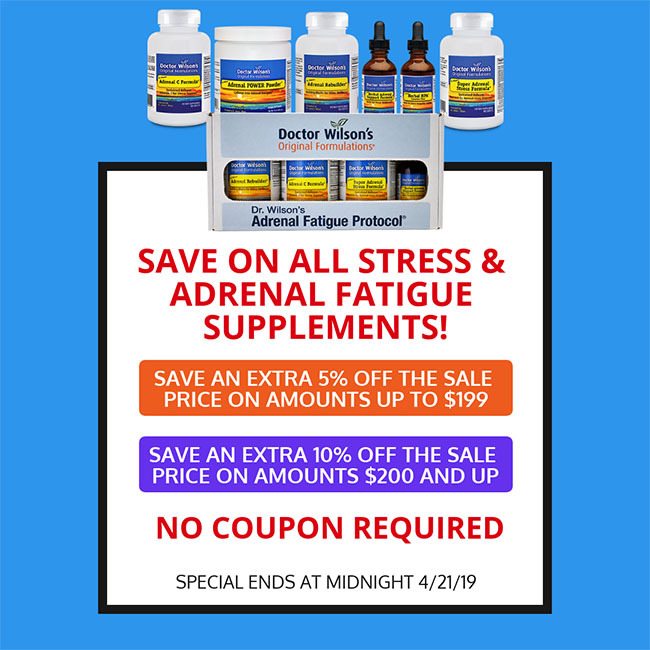 She assists healthcare professionals with clinical assessment and treatment protocols related to adrenal dysfunction and stress, and questions regarding the use of Doctor Wilson’s Original Formulations supplements. With eleven years in private practice and a focus on stress, adrenals, hormonal balance and mind-body connection, she offers both clinical astuteness and a wealth of practical knowledge. Dr. Naugle also maintains updated information about the latest scientific research on the hypothalamic-pituitary-adrenal axis function, endocrine balance and nutritional support for stress and develops educational materials about stress and health for clinicians and their patients. Thank you for the valuable information. I had the same question and found your article very informative. If one has been taking synthetic or plant based cortisol for more than a year,(typically 15-25mg per day) is there any medical test to check if there is a negative feedback of the endogenous production? No, unfortunately, there aren’t any. As always, Dr. Naugle your answers and information are clear, concise and easy for a layperson to understand. I am currently in a terrible bind. After using Isocort for 10 years, I am trying to find a substitute now that it is no longer available. I have all the other pieces in place- diet, supplements that support adrenal function, modest thyroid support- I just need a replacement for Isocort and I cannot tolerate hydrocortosone! I get pressure in my head and ringing ears with a very small dose. Can you help me find an alternative. My current doctors are not aware of another alternative. Thank you! Hope this helps–let us know if you have any further questions, and thanks for writing! Hi, I have Addisons disease but am interested in switching from synthetic cortisol to something more natural, and helping my glands heal. What can I take for this? For Addison’s, you’ll certainly want to work under a healthcare practitioner’s guidance to make that move. People with Addison’s can often supplement their hormone treatments with supplements, like Dr. Wilson’s formulas. Once again, this is best decided by your healthcare practitioner.